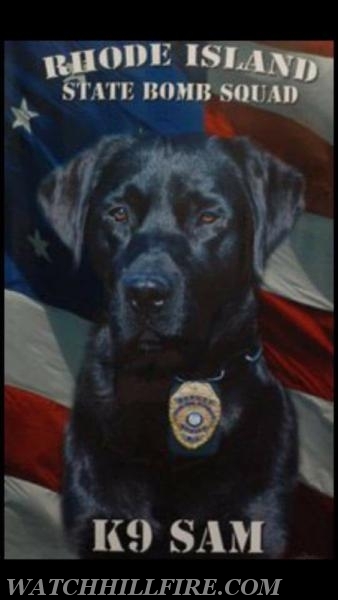 The members of the Watch Hill Fire Department would like to extend their deepest sympathies to Bruce Quinn and the members of the Rhode Island State Fire Marshal's office on the passing of Bomb Detection K-9 "Sam". Sam was an invaluable resource to the state of Rhode Island and we thank him for his service. Hw will be greatly missed.